If you’ve ever felt frustrated when you think about the inefficiencies of your business processes, don’t worry—you’re not alone. Every business runs into stumbling blocks when it comes to day-to-day operations. Processes that are supposed to be simple somehow become complicated. Procedures that were designed to be straightforward continually become tangled and confusing. Many of the struggles of day-to-day business operations come down to one simple word: disorganization. Business processes are developed with the best intentions to keep workflows moving efficiently. But eventually, processes break down somewhere along the line and disorganization ensues. There are three common operations challenges every business faces. And—spoiler alert—one solution solves them all. Enterprise Content Management, or ECM, is a way for businesses to operate more efficiently by simplifying document processes. From data capture to global search to automatic routing, the right ECM strategy saves time and money by streamlining business operations. Here are three of the most common business operations challenges today, and the incredible ways ECM solutions eliminate them. Think about how many different business applications you use on a daily basis. There’s valuable information spread across each of those channels, but accessing what you need when you need it can be a real pain. Plus, with many different people constantly accessing the information, how does your team know for sure which version is the most recent, accurate or complete? Besides the difficulty of accessing the right versions of your content, most of these different business applications don’t talk to each other. That means your employees are often entering the same information in multiple places, duplicating their efforts and taking up valuable time. The lack of transparency and access to the right content is especially worrying at a time when remote workforces are becoming increasingly prevalent. How can your team be sure they access to what they need, even when they’re away from the office? ECM Solution: Use the advanced capture features of an ECM software to automatically extract data from everyday business documents. Files such as PDFs and Word documents instantly become searchable data within your system. You can improve process visibility and keep processes consistent. With added features like document versioning and check in/check out capabilities, you don’t need to guess who accessed a document last, and whether it’s the most up-to-date version. Browser-based functionality allows your team to access all data and information via laptop, tablet, and mobile device, and with keyword searches, so you can automatically pull up all related information anywhere at any time. People have been realizing it for years—paper-based systems are expensive. According to the Association for Information and Image Management (AIIM), on average, businesses spend $20 to file a single document. It then costs an additional $220 to search for and replace each document that is not filed properly. And it’s not only the amount of time, space, and resources it takes to manage paper files that’s costly. It’s also the materials and labor—the ink, paper, toner, service, and repair—that add up quickly. Making better use of office space is one way to quickly boost your business’s day-to-day operations. 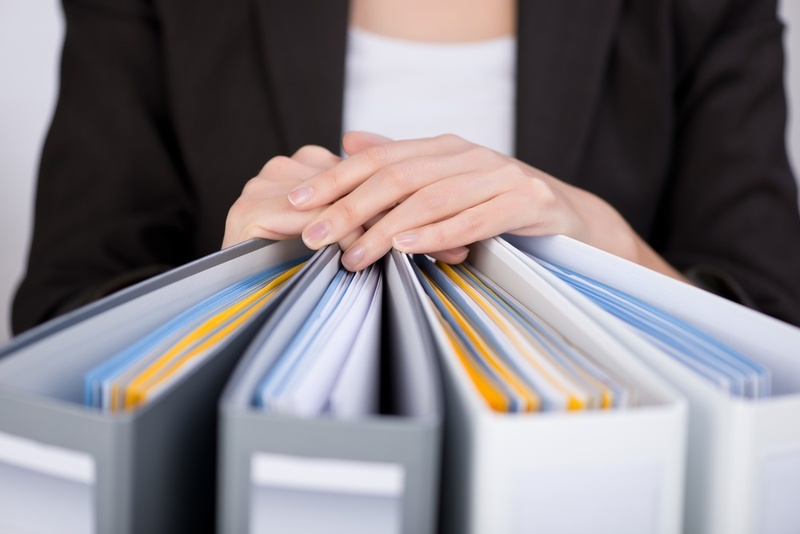 Eliminating paper-based administrative tasks and the need for on-site storage has some serious benefits, not the least of which is saving hours and hours of time searching for and handling paper documents. ECM Solution: With a simple Scan and Shred process, supported by ECM software, you can keep critical business data secure and organized in one place, all while saving valuable time. Documents scanned from your multifunction printer (MFP) can be automatically sent into your ECM software program. You can even add features such as Windows File System Integration, which allows documents to be easily accessed, edited, and saved right from their native applications. You may not even realize how much manual data entry is costing your business. Especially in Accounts Payable and Accounts Receivable departments, errors in data entry can result in over and underpayment. Then, not only are you paying for the mistake, but you’re also paying for the time it takes to backpedal. And, let’s face it: manual data entry is too slow. ECM Solution: Use ECM software to eliminate manual data entry. You can even capture handwritten documents and turn them into searchable data. With a Purchase-to-Pay ECM solution, you can effortlessly process requisitions, automatically route approvals to the right people, and integrate with QuickBooks and other financial programs. Plus, you can create company-specific web forms that gather only the relevant data needed, eliminating manual data entry. 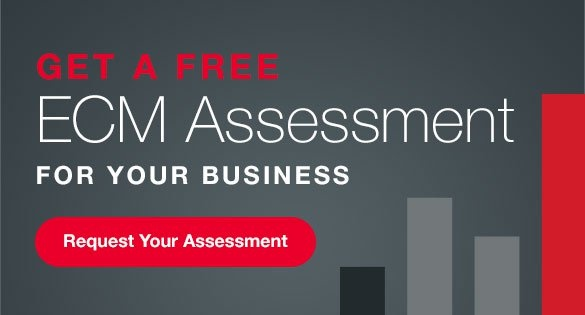 Ready to solve your business operations challenges with ECM? Not all ECM software is created equal! Learn more about Square9 Softworks, SymQuest’s preferred ECM partner.